We Will Clean The Grease & Grime And Save You Time! M&N HOOD CLEANING SERVICES INC.
​ PROVIDES ALL YOUR RESTAURANT HOOD CLEANING IN BUFFALO NY NEEDS TODAY! When using our Hood Cleaning Services we abide by the The National Fire Protection Association (NFPA) which is the governing body providing the minimum codes of standards for the kitchen exhaust cleaning industry via the NFPA 96 reflects industry best practices that maximize protection of operators, building occupants, and property for reducing fire risks in public and private commercial kitchens. The 2011 NFPA 96 is the current code providing clarification on requirements for certifying technicians to ensure that equipment is maintained by qualified providers. Today more than ever exhaust hood cleaners require quality methods for maintaining grease-free exhaust systems to keep facilities protected from grease fires with our superior Hood Cleaning Service. ​1. Hoods over non-grease appliances – 1 year cleaning requirement. ​2. Pizza Restaurants and oven hoods – 2 Times per year or every 180 days cleaning requirement. 3. Average Restaurants, Cafeterias and Hotel or Hospital Kitchens – 4 Times per year or every 90 days cleaning requirement. 4. Hamburger and Fast Food restaurants, Wood-Burning or Charcoal-Burning Stoves, restaurants open 24 hours – Monthly or every 30 days cleaning requirement. Call Today and receive your quick free no hassle Hood Cleaning Services quote now! We now provide all our Restaurant clients with our exclusive Restaurant Cleaning Service. and your restrooms so that you have a clean Restaurant. To learn more give us a call and set up a price quote today! 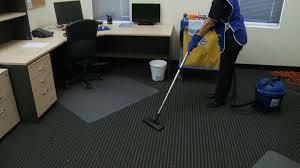 Now providing our Rochester Hood Cleaning Services in Rochester and all the surrounding areas. M&N Hood Cleaning Services Inc. Is a small family run business located in Buffalo, Ny and providing services to all of Buffalo, Ny and expanding out to the Rochester, Ny area. We provide all the same services no matter where your at or how clean or dirty your system is, But when your looking for the best give us a call and the opportunity to show you what we can do. M&N Hood Cleaning Services Inc. and our technicians are certified and trained for your peace of mind. To ensure your system is operating correctly it needs to be cleaned regularly. things like grease, grime and other residue can block the airways in your exhaust system, leading to a buildup of smoke, unhealthy breathing conditions and inefficient air flow. (M&N Hood Cleaning Services Inc.) provides our affordable and reliable Kitchen Hood Cleaning to all of our customers, Not only do we clean your Kitchen Hoods we clean your Kitchen Hoods right the first time so that you never have to worry again about your system and if it was done right or wrong. (M&N Hood Cleaning Services Inc.) We are your superior Exhaust Cleaning Company providing our services to all of Buffalo, Ny and Rochester Ny and the surrounding area's. When we service your system an important part of the system is your Ductwork of which contains all of the grease from all the cooking that has been done and collects all the way up to your Exhaust Fan. 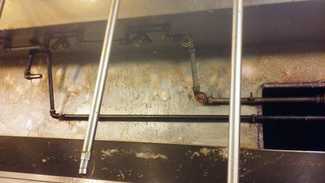 Each time you start your system up each morning the heat causes the grease to become a liquid of which if it's built up too much it could turn out to cause a grease fire in turn which is why most restaurants end up having kitchen grease fires because of the lack of having the system cleaned on a regular basis. If your a restaurant owner or manager its vital that you have your system cleaned per regulations to avoid any serious hazards happening and the recommended cleanings for most restaurants is typically twice per year. Monthly inspections are an important tool to ensure that your system is always up to date and in good working order, But inspections do not eliminate the need for normal routine maintenance of your system between services and inspections. NFPA 17A requires a full inspection of your system at least twice per year or Semi-annually and after any activation. Like your monthly inspections, these inspections most meet and follow all manufactures guidelines to try to avoid any type of mishaps, However they are much more comprehensive and detailed in nature and require more time and expertise then a normal routine inspections does. 1. An Evaluation of your system from a Hazard perspective - Has the hazard changed in any way that might make the system less effective? 2. An examination of every component of your system - This includes your fire detectors, the containers that hold the extinguishers agent, your system's releasing devices, piping, hose assemblies, nozzles and signals as well as any auxiliary equipment. 3. A check of the agent distribution piping throughout your system - are there any obstructions that might prevent the release and/or proper flow of extinguisher agent? 4. An examination of the wet chemical in your system - If there is any evident of corrosion or pitting or structural damage to the cylinders the chemical may not feed properly through your distribution system and should be replaced and the system updated and recharged. Regardless of the type of inspection being performed whether its Monthly or Semi-annual any problems identified for the Fire Suppression System needs to be fully documented and correctly immediately to ensure proper functioning of your entire system at all times. 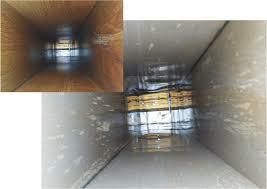 M&N Hood Cleaning Services Inc. provides our quality and affordable Hood Filter Cleaning. With our service we will thoroughly clean your Hood Filters after soaking in our special degreaser that removes most of the grease build-up on your Filters and in some situations will clean them better then expected too. Typically when we give our quotes we advise our customers as best as we can by looking at your Hood Filters and letting you know if it is something you should just have cleaned or if your Hood Filters should be replaced. In most cases we can provide our Hood Filter Cleaning and get those filters as clean as possible, and then in other cases sometimes its been too long since you had your system serviced last or you have tried to clean your own Hood Filters. Hood Filter Exchange program to all of our customers. We have found most companies when doing this will try to sell their current or new customers with Hood Filters that cost between $50 and $100 or sometimes more. So the next time your looking for a honest and reliable company reach out to us to get the most affordable service around guaranteed! M&N Hood Cleaning Services Inc. provides very affordable rates as we know that restaurant managers and owners have high expenses and we try to be fair but still try to remain very competitive with all our customers. We have found that each system we give a quote for will always differ in prices due to several different reasons ranging from when it was last cleaned or just how dirty or clean the system may be and then the size of the system and how many filters the system has and then how high the exhaust fan might be and other things do come into play. So the next time your looking for a company that values each customer we service and how we clean your system as if it were our own then give us a shout for your next hood and exhaust cleaning needs. M&N Hood Cleaning Services Inc. Now provides Office Cleaning Service along with the many other service options we provide as well, We have experience in all fields of cleaning and can more then likely we can get it cleaned for you. If you have a small office or a large office and need a 1 time per month or 1 time per week or even a daily nightly cleaning we provide it all, So the next time your in need of a cleaning service give us a call and we will do all we can to help you out. M&N Hood Cleaning Services Inc. provides our Pressure Washing Service to all customers looking to have Commercial Pressure Washing Service in Buffalo,Ny and the surrounding area's. We can come out to your business and clean your parking lot, sidewalks and your building to remove any dirt and grime that has built up over time and is making your property look dirty. If your looking for a reliable company that can provide a great service then give us a call for all your Pressure Washing Service needs today! M&N Hood Cleaning Services Inc. provides our Window Cleaning Services to all current and future customers and anyone who has a commercial building that needs or wants Window Washing Service. If your looking to have a streak free and clean window give us a call for all your Window Washing & Cleaning needs!